The war time British Prime Minister, Sir Winston Churchill reached his peak in 1940 when at 66 he replaced the weak Neville Chamberlain as the British Prime Minister. He rallied round the Brits to fight against the malevolent forces of the axis alliance led by the Nazi Germany under the murderous Adolf Hitler. The public praised him to the high heavens and the academically slow, bashful lad became a public hero. In 1945, general elections were held and to the amazement of political pundits, Churchill lost to Labour leader, Clement Attlee in one of the greatest electoral upsets in the history of electioneering. 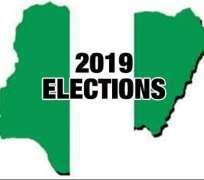 The 2019 elections in Nigeria have come and gone but as historians it is necessary to critically examine them and see what lessons can be learnt by state and non state actors as well as the citizens. There were many upsets this year. The O toge movement in Kwara state ended the decades old Saraki dynasty in that state. How did the Senate President, Bukola Saraki lose out totally in the scheme of things? Some analysts opine that the people were tired of him and wanted a change. They had served the father for decades with nothing tangible to show for it and they were tired of also serving his son and if care wasn’t taken his grandson. They came together under the O to ge banner which had the imprimatur of several politicians like the Information and Culture Minister, Alhaji Lai Mohammed, the Senator-elect for Kwara Central, Dr. Ibrahim Oloriegbe, his estranged sister, Gbemi Saraki amongst many others to retire him. Many politicians in the APC didn’t also forgive him for ceding the deputy senate presidency to Ike Ekweremadu. In the current American presidential system of government, it’s the winner take all syndrome. It was suicidal to concede a key position to the opposition. That was a sin that was mortal apologies to the Roman Catholic Church. What do make of the deployment of Bola Tinubu’s erstwhile chief security officer as the Kwara State Commissioner of Police? Why Kwara after the public outcry when he was first deployed to Lagos? Some analysts opine that the hubris of pride was his undoing. He devoted more time to coordinate Atiku’s campaign and took his home turf for granted. Others say his decamping to the PDP was his greatest undoing. I beg to disagree. What do you have to say about the likes of Dino Melaye, Samuel Ortom and Abubakar Tambuwwal who defected from the APC to the PDP and still won? Oil magnate, Ifeanyi Ubah got his first electoral victory at long last under the platform of the obscure Young Peoples Party. To have defeated Senator Andy Uba and his younger brother, Chief Chris Uba was no mean feat. He has already began hobnobbing with the ruling APC though he debunked rumours of his defection there. Time will tell if he stays glued to the YPP. With the re-election of Stella Oduah and Uche Ekwunife, Anambra state has the highest number of female senators in the country which is a victory for gender parity in the polity. Dino Melaye proved to be a dogged fighter as he once again beat the former Nigerian Union of Journalists President, Senator Smart Adeyemi in a largely APC controlled state. He is indeed a cat with nine lives as he battled his state governor, Yahaya Bello surviving a recall by his constituency and the Federal Government which led to his brief incarceration. Samuel Ortom proved to be an adept risk taker as he read the mood of the people of Benue who wanted a change of parties as the APC proved incapable of effectively protecting them from the murderous Fulani herdsmen. He smartly defected to the opposition PDP and was handed the second term ticket as a reward. George Akume’s re-election bid was stopped by a coalition of powerful forces. David Mark was succeeded by Abba Moro, the former interior minister. In a decent country, Moro would have faced a trial for the deaths of the applicants for the immigration jobs that died in the stampede. Alas, this is Nigeria where we have a collective amnesia as well as being a nation where anything goes. Mark left a ‘legacy’ by getting his daughter to be a member of the incoming 9th National Assembly in the Federal House of Representatives. Chief Olusegun Obasanjo was demystified as his open support of his former deputy didn’t make him win. This is the first time a candidate he backed lost. The otoge movement didn’t sweep Lagos as Asiwaju Bola Ahmed Tinubu fondly called Jagaban is still in charge. He christened his own movement ‘Otope’ and threw his weight behind the candidacy of his anointed son, Babajide Olusola Sanwoolu who won with a landslide. Jimi Agbaje was forced to congratulate him meaning that he won’t be presenting his case before the elections petitions tribunal. Omoyele Sowore presented his party – the African Action Congress with its campaign slogan ‘Take it back’ as the third force. However, he didn’t even emerge third in the elections forcing him to scream blue murder of a massive rigging against him. His party is being used by Rotimi Amaechi to battle Nyesom Wike for the Rivers state gubernatorial elections after the suspension of the APC gubernatorial candidate, Tonye Cole. The question on the lips of some pundits is why AAC? Some Sowore critics contend that the Sahara Reporters Founder is surreptitiously working for Tinubu having allegedly worked for Buhari in 2015. The New York based activist has denied any link with APC even after the defection of the running mate to the PDP. The gubernatorial candidate, Awari told the world how he turned down a 3 billion naira offer from Wike to step down for him. The question is why AAC? What is the special interest in this supposed third force by Amaechi and Wike? Time, the ultimate revealer will tell. Dr. Oby Ezekwesili disappointed her numerous supporters and fans by pulling out a few days to the elections to support the so called third force coalition. She has been silent since then and may not be taken seriously in future elections or even in the general political discourse in the country. Oyo state has the distinction of being the only PDP state in the south-west. Analysts posit that it was the bad policies of the Senator Abiola Ajimobi led government that led to their electoral loss. He also suffered a senatorial loss as the Ibadan people were hell bent on dealing with him as a result of some anti-people policies that he implemented which included the abrupt demolitions of properties which included the studio of the popular musician, Yinka Ayefele and the arrogance he displayed towards the students in the Lautech crisis. The votes of the masses truly counted in the pace setter state. There were pockets of violence in some states which led to re-runs in the affected places. Foreign observers were divided in their verdict. While some gave the elections a pass mark, others dismissed it as a sham which didn’t truly reflect the will of the people. The emergence of the principal officers of the ninth senate will be of keen interest to all Nigerians. Adams Oshiomhole already said that there won’t be sharing of power by the APC with any other party – a tacit condemnation of what the disgraced Saraki did. The next four years will be filled with drama and intrigues. We hope that the Man on the Clapham Omnibus gets the full dividends of democracy as every revolution must begin with breakfast.